HUMANISED International is a social enterprise based in London, UK dedicated to humanising world history, culture and social issues through workshops, music and theatre productions. Our mission is to create a more conscious and tolerant society by diversifying education and empowering individuals and communities to learn about cultures from around the world. We believe that with a strong sense of self and empathy, every human being around the world, regardless of background, can lead change within themselves, their communities and the world around them. In this increasingly globalised world, arts and education needs to be humanised. HUMANISED: workshops and productions educate, train and empower young people and the wider community by humanising cultural and historical education through world music, drama and inspirational stories from around the world. 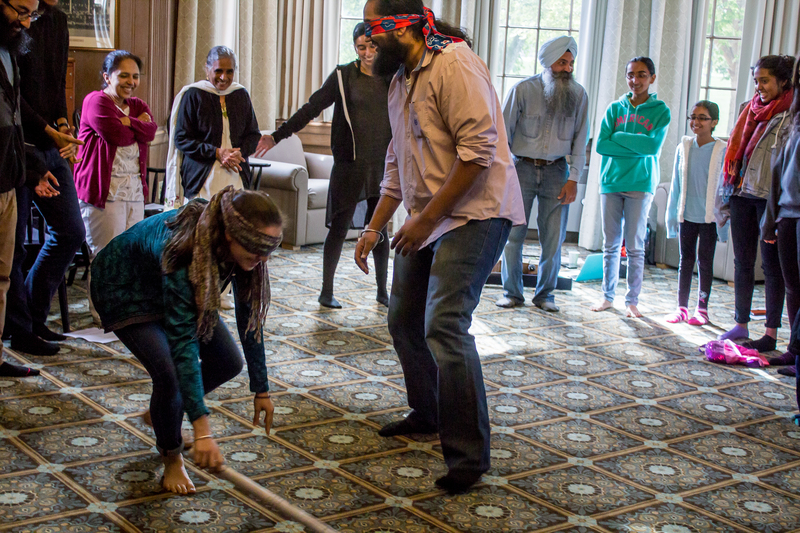 Through experiential learning participants are encouraged to critically explore the lessons we can learn from universal human experience on an individual and community level. Humanised workshops and productions have taken place around the world, from youth organisations across the USA to universities and rural schools in India as well as marginalised community groups across the UK. The HUMANISED: workshop experience is created by the stories individuals share and the energy they bring! We want participants to meet the sources of universal human experience – not with something learned – but something lived. We can all feel empowered to empower!